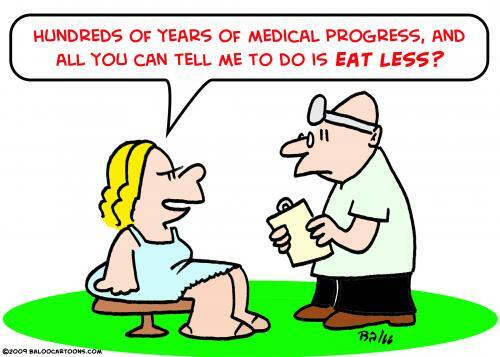 Top 15 Myths About "Health Foods"
I've become sick of being mislead by advice. The problem is that most of the information floating around the mainstream is not going to help you, so it's really not your fault. It's about time these myths finally get debunked, and unfortunately there's plenty more. This makes sense, since the yolk contains cholesterol right? This is False, this contains good cholesterol that will actually help you lose weight. Sunny-side up eggs happen to be the healthiest option, because you want the whites cooked, but the yellow still raw. You see, the chickens could still be kept inside of an overcrowded space. Instead look for labels that say free range (update: free range may be just as bad as "cage free," as the chicken's door to go outside may be extremely too small to accommodate all of them) or pasture-raised as the chickens are much more likely to have easy access to a large enough outdoor area. Normally they would only eat grass and bugs. Instead, labels such as organic and no antibiotics are much more important to look for. To test this out yourself, check to make sure the yolk is a dark orange hue, opposed to a brighter yellow. You can’t get enough of the stuff right. The truth is… this doesn't address the real issue… you see, "the dose makes the poison." And the real reason why people say to get more omega 3, is because they’re getting too much of omega 6… which should ideally be around the same amount. The problem is omega 6 can be found in unhealthy seed and vegetable oils coming from soybean, corn sunflower, canola, etc.… which is found in most processed foods, which makes up about 63% of the Standard American Diet (the initials being SAD for a reason). It’s a fact that the American diet is designed and engineered for a shelf in a ware house, not for the American gut. Which is the reason why it’s the cause of approximately two-thirds of the deaths due to disease in America. So now instead, you’ll be much better off reducing your intake of unhealthy foods, and then you wouldn't need as much omega 3. The healthiest fats that will cause you to lose weight however come from olives, coconuts, and avocados… and to get oils from them it has to say extra virgin to still be considered healthy. 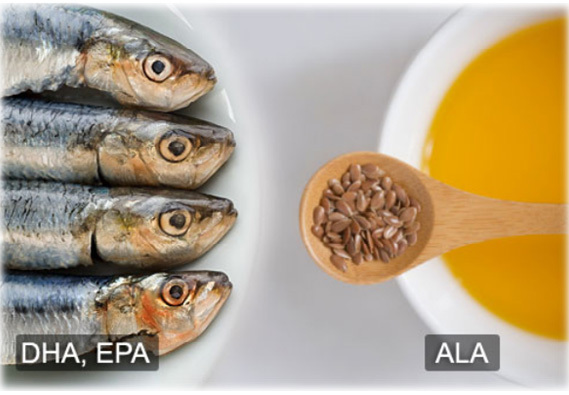 The last thing to consider is that not all omega-3 fatty acids are treated equal… an animal has to first digest omega 3 before we’re able to absorb it more fully (being classified as DHA and EPA)… in contrast to ALA which is from plant based foods like flax seed. Sounds good, since you don't want the saturated fats found in red meat right? The truth is as long as it’s grass-fed and pasture-raised, it’s perfectly fine. 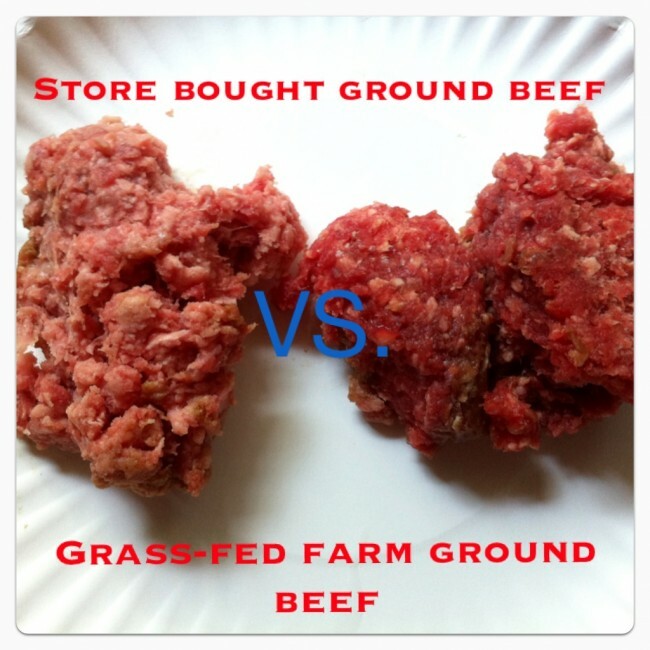 You can tell if the beef was grass-fed, since it would have a darker red hue… opposed to grain or corn fed beef. Grass-fed beef also contains a much more equal ratio of omega 3 and 6 fatty acids. Also, it’s much less likely to contain bacteria such as e-coli… which is why it’s okay to eat raw egg yolks as long as the hen is grass fed and pasture raised. Ultimately you decide what goes into your body. Consider this as well, High amounts of protein are not only good for your bones, but also help maintain healthy amounts of blood sugar and thus control blood pressure. Even butter is okay when it comes from an animal that was grass-fed and pasture-raised. You can assume that since you don’t want your animals eating grains, then you probably don’t want to either. In fact, I can speak for myself that if I go a day without eating any grains… the very next day I have a ton of more energy and feel better. 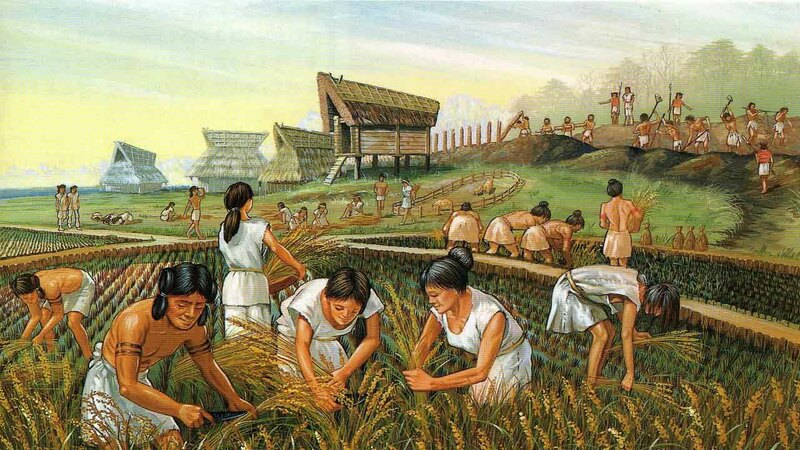 But let’s look at history, the agricultural revolution happened fairly recently since humans have evolved and since then our genes haven’t really changed all that much. The truth is there is a reason why animals and humans never naturally ate grains… it’s because they contain very few nutrients compared to other foods (which is why they have to be artificially fortified with vitamins and minerals all the time), and they also contain anti-nutrients like Phytic acid which blocks the absorption of nutrients from other foods that you do eat. However, grains happen to be the easiest and cheapest food to mass-produce… hence this is the real reason why it’s number one on the food pyramid. This type of wheat however is the cause of a slew of health problems; both minor and serve... mainly because it contains large amounts of a protein known as gluten which wreaks havoc on our bodies and our brains. And If that’s not bad enough, since it’s a fast-releasing carbohydrate, meaning it turns into sugar very quickly in our blood stream… it causes you to get hungry faster, and your body to hold onto more fat, and it even alters our brain chemistry to create an addiction… behaving the same way an opiate in a drug causes an addiction and withdraw symptoms believe it or not. This explains why so many people claim that they could live off of cereal for every meal. So it’s important to only eat these sparingly. Seems like it would make sense, however it couldn’t be further from the truth. But most people are so distracted checking the calories and fat content that they don’t research how extremely dangerous these artificial sweeteners really are. They can literally kill you, or drastically affect you overtime, as aspartame will turn into poisonous formaldehyde inside of our brains. 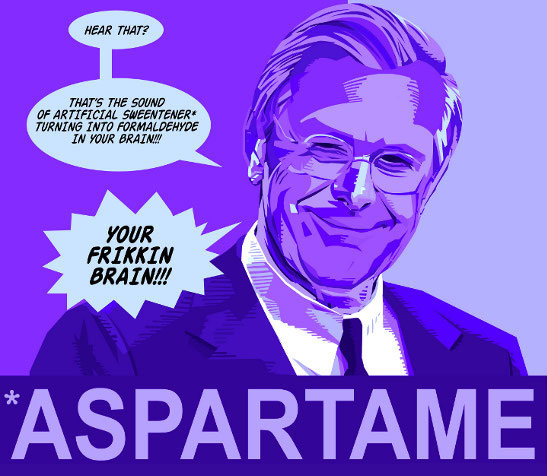 Aspartame, being the worst, is literally made from the genetically modified bacteria found in rat feces. And yes, the same company is also responsible for making genetically modified organisms, or GMO food and it’s really that bad for you. The idea here is that this helps to keep your metabolism going so that it continuously burns fat… only problem is that it’s a myth. While it is true that the process of you chewing raises your metabolism slightly while you’re digesting the meal, it’s the total amount and type of food that determines the amount of fat that gets burned naturally, NOT the number of meals you eat in a given day. For some people eating 6 meals instead of 3 meals will cause them to feel less full, and thus this would promote binge eating. And it’s a fact that fasting or having larger breaks between meals actually allows our body the necessary time to detoxify itself, which also gives us feelings of more energy. 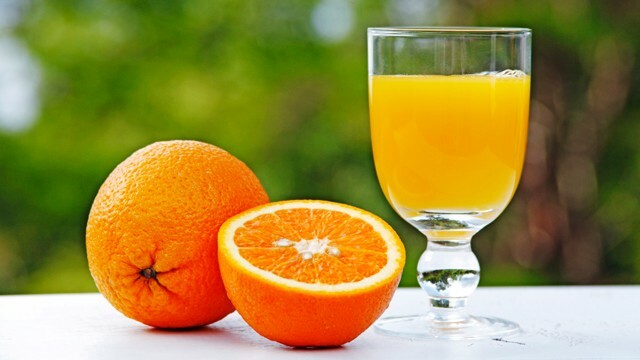 False, nearly all fruit juices are pasteurized. It means that the juice is heated up to kill any bacterial that may develop while it's in transportation to the grocery store. The problem is that this also kills the anti-oxidants and all the good stuff in the juice too. For this reason it's far more healthy to just eat a whole orange or squeeze it fresh. The healthiest things to drink would be purified / alkaline / mineral water, fresh coconut water, green or herb tea. Adding lemon (to make it more alkaline, or in other words to help match the pH level of the water to be more close to the pH level of your blood) and sometimes adding a very small pinch of sea salt (not table salt, to add essential minerals) will boost the health benefits of anything you drink. The same problem exists for milk, in that it's pasteurized. The only way to safely get around pasteurized milk, is to live in relatively close proximity to a local farm that has the ability to provide you with un-pasteurized milk. This is why we have to use our money more wisely to "vote" for local farmers, by buying from them. But, not only that... there's a reason why so many people are lactose in-tolerant. It has to do with the breed of cow that produces the milk. The stereotypical white cow with black spots produces milk that's missing a few chains of protein when compared to the older species of brown cows. Specifically it's the difference between the protein known as beta-casein... either being A1 or A2. This is why milk will taste so different for people from different countries. 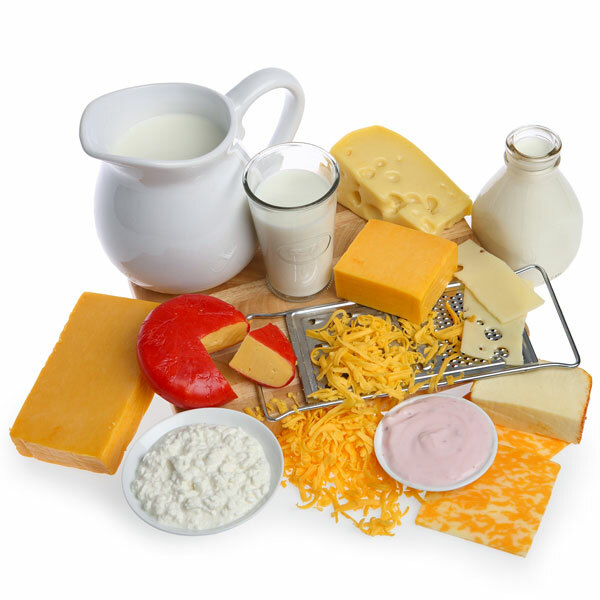 Similar with the grains, depending on the type of cow... you should only have dairy products sparingly. However, a healthier alternative comes from goat's milk... because of the fact that it's the closest resembling human breast milk. Another even better option is Kefir. Which is similar to probiotic yogurt that you often see... they both contain live active cultures of good bacteria to improve your digestion system. Normally people will tell you to do this as to prevent yourself from choking on your meal. However, drinking cold water during a meal may limit and dilute the effectiveness of the digestive enzymes in your stomach. Thus not all of the food would be properly broken down and absorbed. It is a best practice to drink warm water or tea (close to your body's natural temperature) before a meal or at least a half hour after a meal. Also, unprocessed foods are often full of water and thus wouldn't require you to drink with them usually when compared to drier processed foods. Drinking something warm first thing in the morning is also very important, opposed to something cold. People may actually report that they feel better and lose weight by doing just this. And of course make sure you're drinking enough water throughout the day regardless... but also consider the fact that if you eat lots of watery fruits and vegetables that they do count towards your required daily intake of water. Also, one of the biggest causes of improper digestion still seems to come from people not chewing their food thoroughly enough. It is possible to steam food, while only losing minimum nutrients if any at all. Another method is to very quickly sauteed on high heat... but again, it would need minimal time exposure to the heat. Boiling food in water will cause the water to soak up all of the nutrients. This is okay however, if you plan on using the water in a soup. 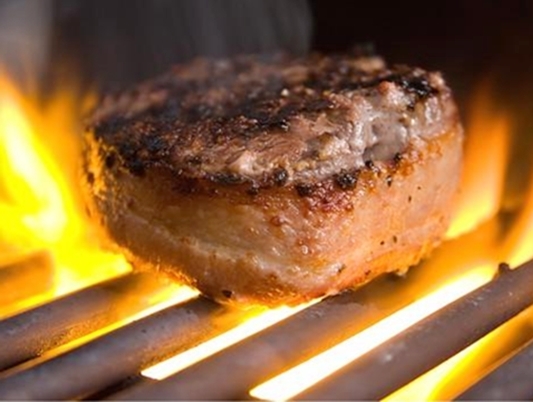 Over-cooking meat to the point that it becomes black actually produces cancerous chemicals within the meat... anti-oxidants such as rosemeric found in the herb known as rosemary has the ability to counteract the effects however. 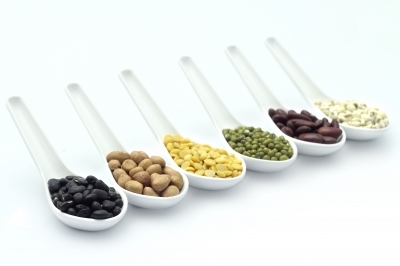 Beans, legumes, nuts, and seeds all contain high amounts of the female hormone estrogen. Soy beans (or edamame) contain the most amount... which makes it very unhealthy for us to eat. Even if you are female it has dangerous hormone effects if too much is eaten. The most common products are seen as soy milk, soy sauce, and tofu. In the case of children... it may delay puberty in boys, and accelerate it in girls if eaten too often. 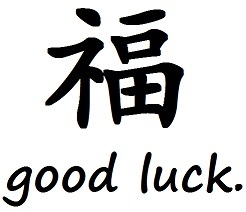 The only thing that may render soybeans safe for human consumption would be fermenting it, which detoxifies the soy getting rid of the anti-nutrients that inhibit mineral absorption. Although, it's much less likely to find fermented soy compared to un-fermented soy. For men, it may cause them to become sterile... unable to produce children. Beans and legumes also contain high amounts of anti-nutrients... as a sort of defense mechanism to protect themselves, similar to grains. Nuts however usually feature a hard shell as they're defense mechanism, so they don't contain nearly as many anti-nutrients. Oh and peanuts are not really nuts... they are in fact legumes. Thus, beans and legumes should be eaten sparingly .. seeds should be eaten on occasion (pumpkin seeds being the healthiest option)... and nuts may be eaten a bit more often (hard shell nuts like almonds are the best, along with a few others). There actually is a way to dis-able many of the anti-nutrients... and that's if you soak beans, legumes, nuts, or seeds over night before eating them. 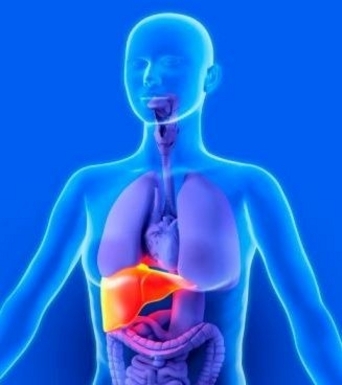 This will allow them to begin to sprout, thus getting rid of the enzyme inhibitors that aren't good for our bodies. Normally this statement would be correct... unless you live in the United States where over 90% of corn crops are genetically engineered (GMO), which still isn't required to be labeled. In almost all other countries, it's at least required by law to be labeled so you can have a better chance to avoid them. This is very bad, especially when you consider how many food products corn is added into simliar to how soy is over-used in many food products. Other foods that are mostly genetically engineered include: sugar beets, potatoes, tomatoes, squash, golden rice, soybeans, vegetable oils (these aren't just the cooking kinds, but are the ones that get added to prepackaged foods that are commonly seen), animal feed (usually will also include soybeans, unless labels say otherwise). Now the next thing is going to be salmon, as recent experiments are able to produce a fish that's twice the size of a natural salmon. 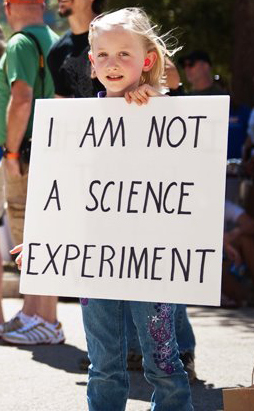 And don't be mislead... the reason why they are able to sell these genetically engineered foods legally is because they were deemed "safe"... but laboratories owned by the same companies that profit from selling them are the ones that deemed them to be "safe"... meanwhile small independent laboratories that did study their effects deemed them to be very harmful, and so now it's against the law in many countries for independent laboratories to conduct experiments with GMO foods. Yes, it really is that ridiculous. To learn more about this you may want to watch this video. The truth is that it's impossible to burn fat from a targeted area on your body. But you may build targeted muscle groups... so by performing exercises that will build muscle underneath a layer of fat, it will actually cause that part of your body to stick out more so. Instead a full body workout is required to burn fat and build muscle evenly. It is very easy to do too much cardio, in which it will actually cause your body to hold onto more fat than before. Especially if you reduce your caloric intake. In reality the more muscle you have, the more fat your body naturally burns. And this is the key. You're not going to be burning the majority of your weight off directly through exercise routines... but naturally as your body will start to use it for energy throughout the day. 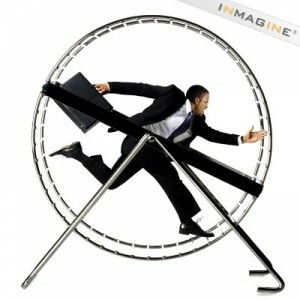 Also, running on the tread mill or doing repetitive movements for extended periods of time are horrible for your joints. Consider this... the average person that runs professionally never seems to live to as old an age as the average person that limits their running. Most people think this is all they have to worry about... but the truth is that you're body will actually start to hold onto fat more the less calories you eat. This explains why most people will lose weight in the beginning of their diets... but then find that they hit a plateau where it seems they can no longer lose anymore weight. This is your body's natural defense mechanism... so the best thing you could do is to eat the roughly the same amount of food, but substitute fake food for real food. The preservatives, added sugars, artificial nutrients, etc. found in processed foods are not good for you. Eating real food that is living like fruits and vegetables... and natural meat is the way we were suppose to eat. Get rid of the chemical loads on your body from these fake foods, and you'll be amazed at how much more energy you'll have, how much clearer you're able to think, and how much better your body and skin will begin to look. Thank you very much for taking the time to read all the way to the bottom of the page! That shows me that you're very serious about your well-being.